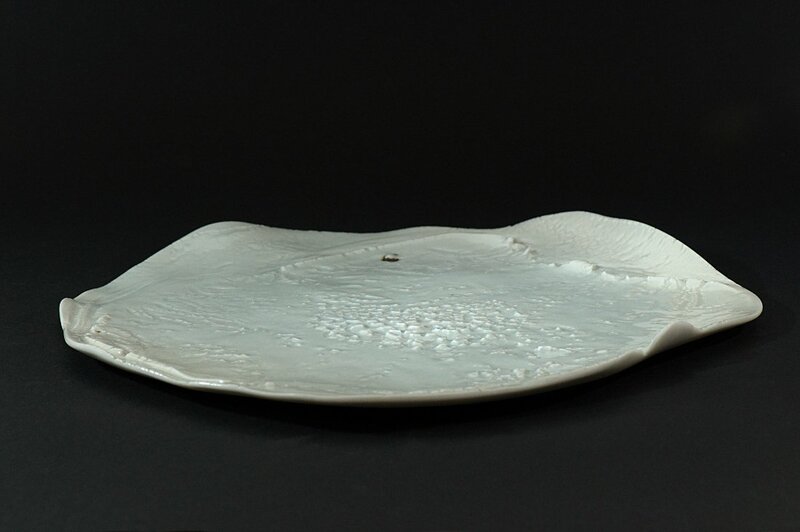 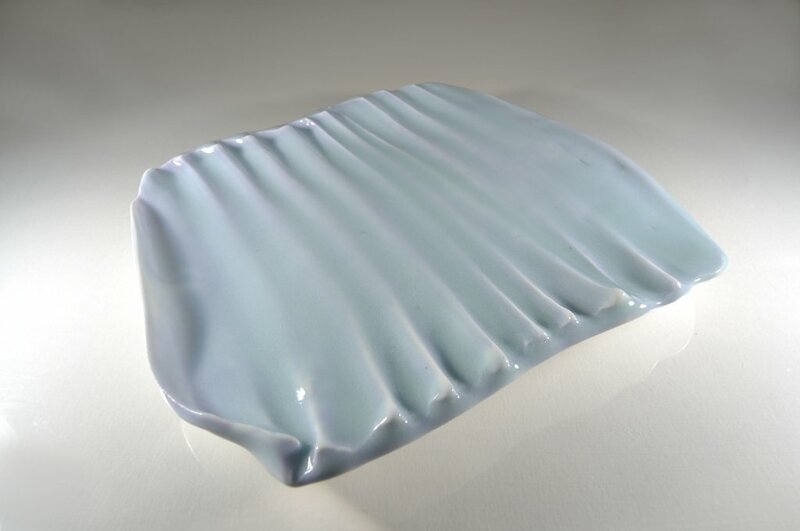 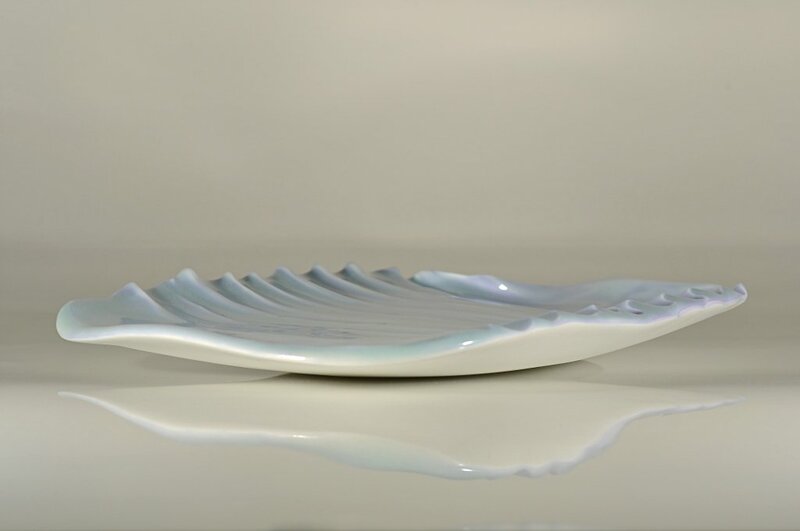 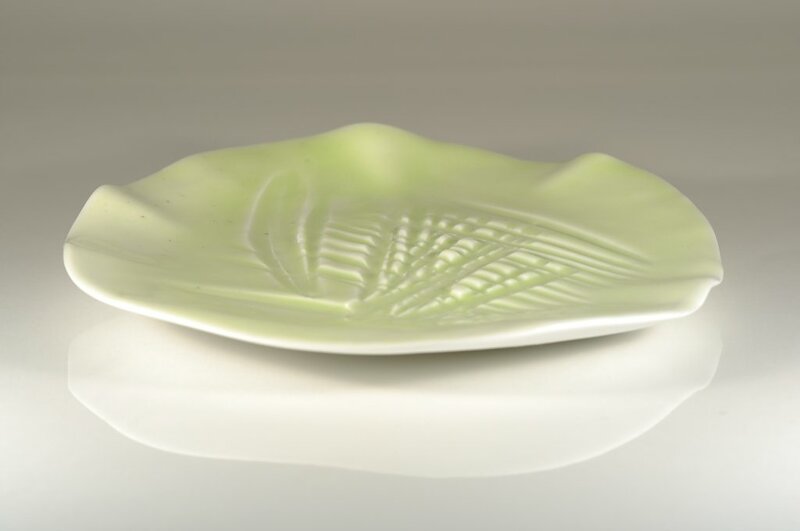 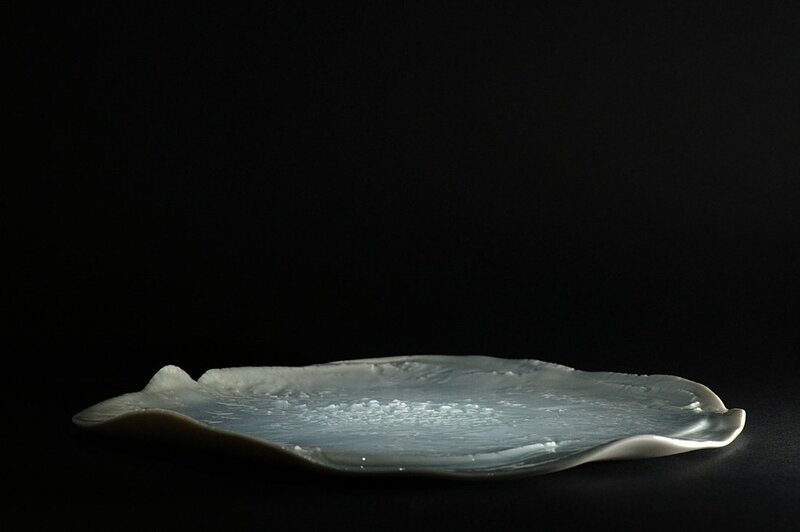 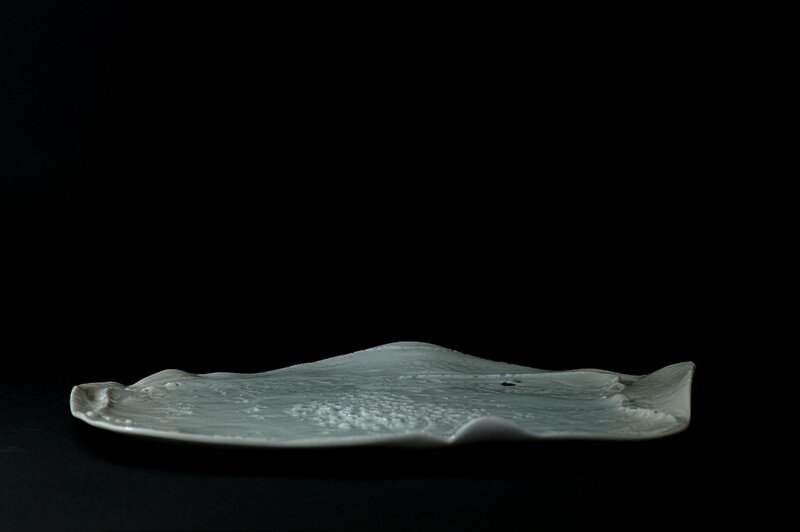 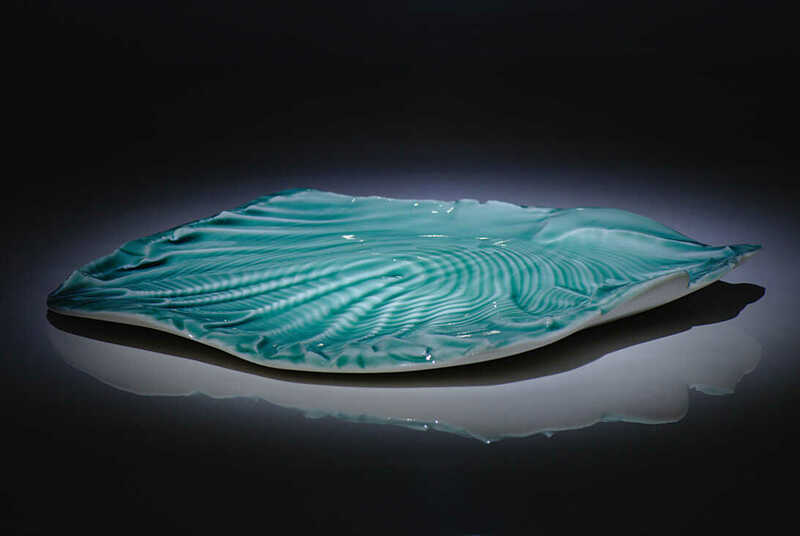 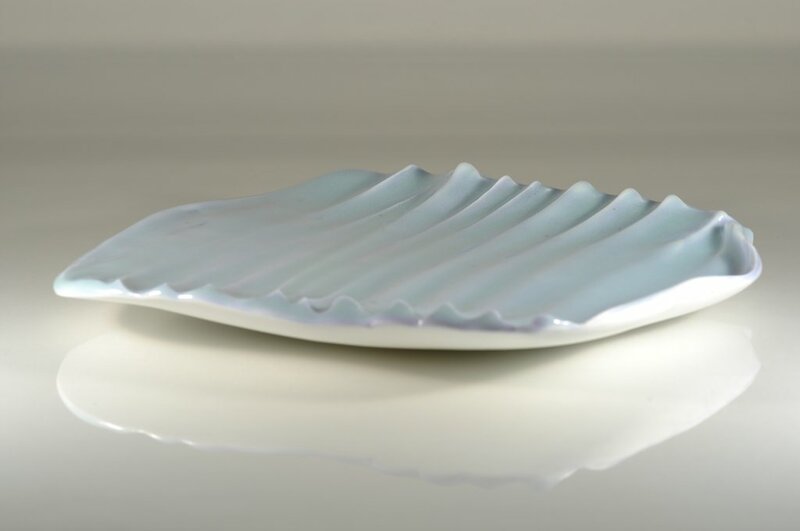 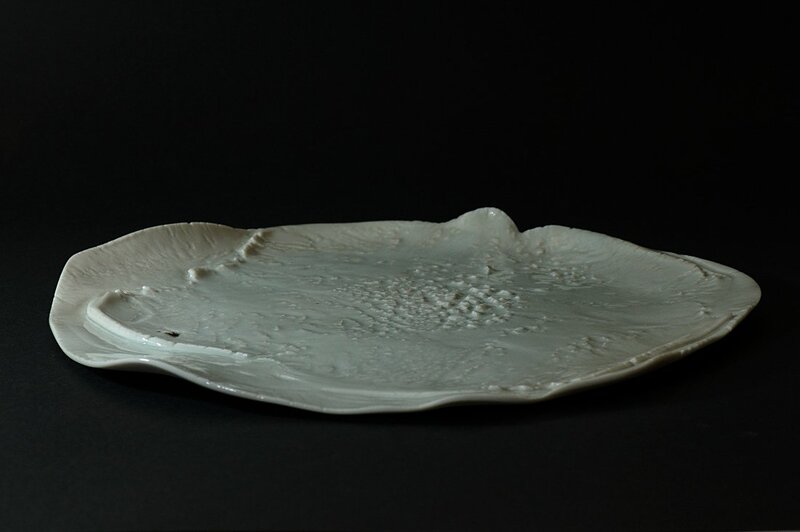 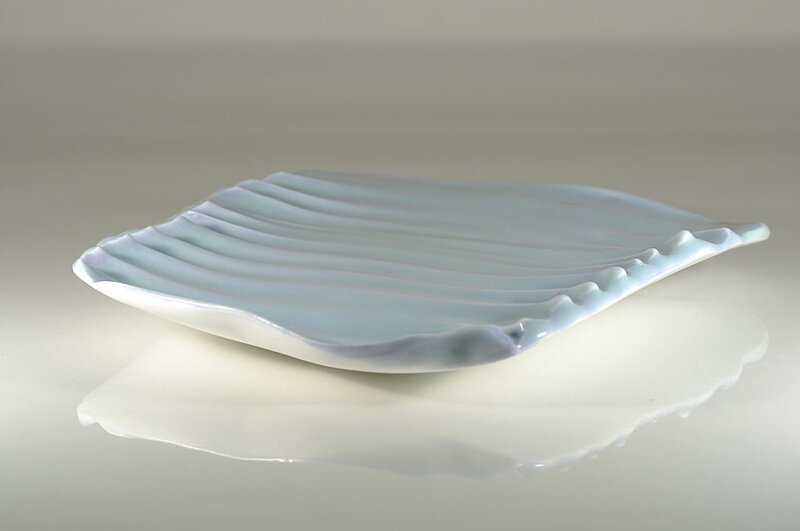 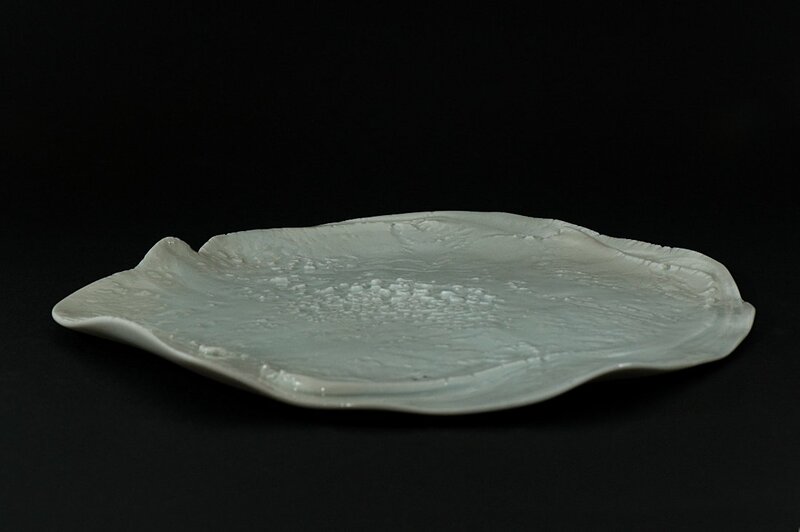 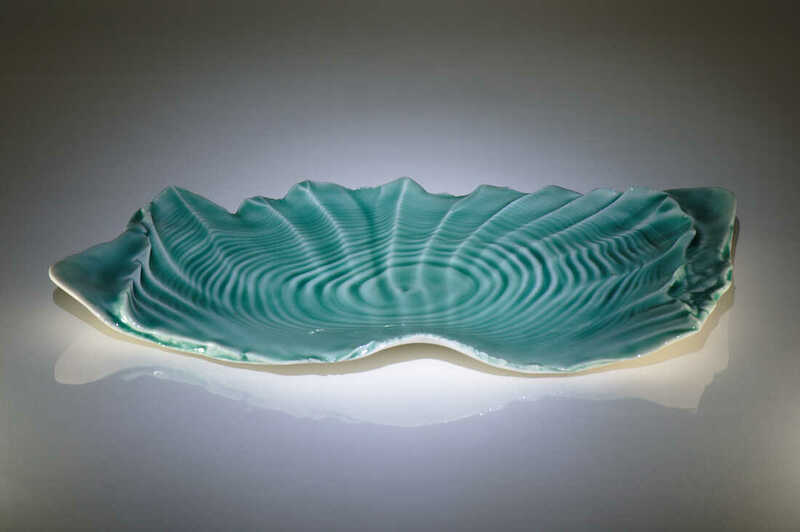 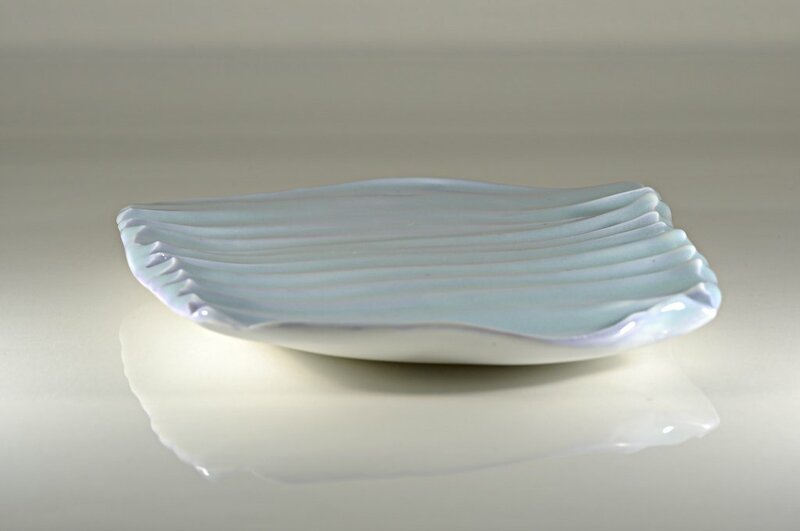 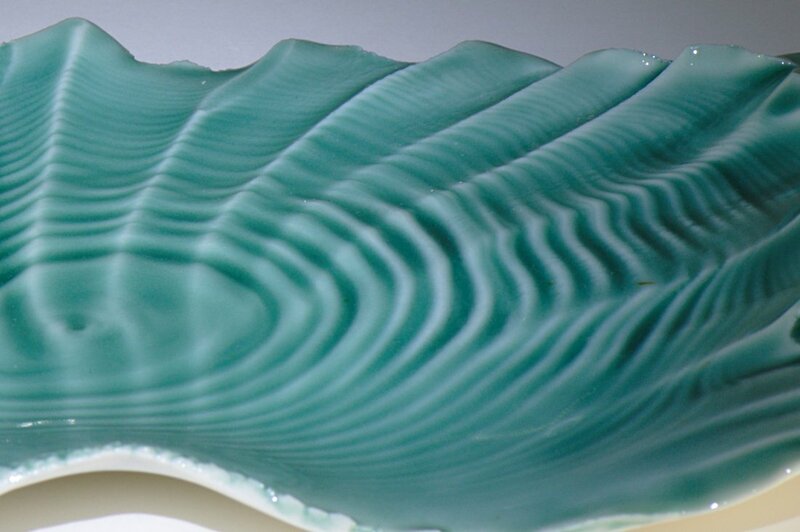 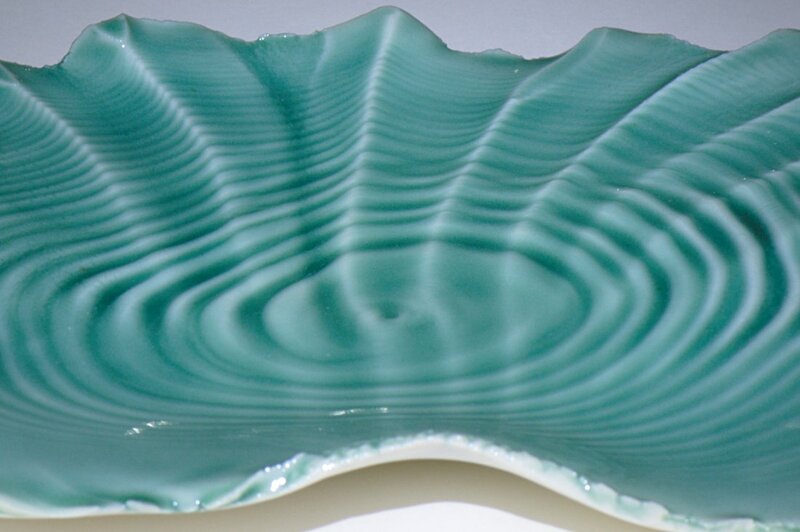 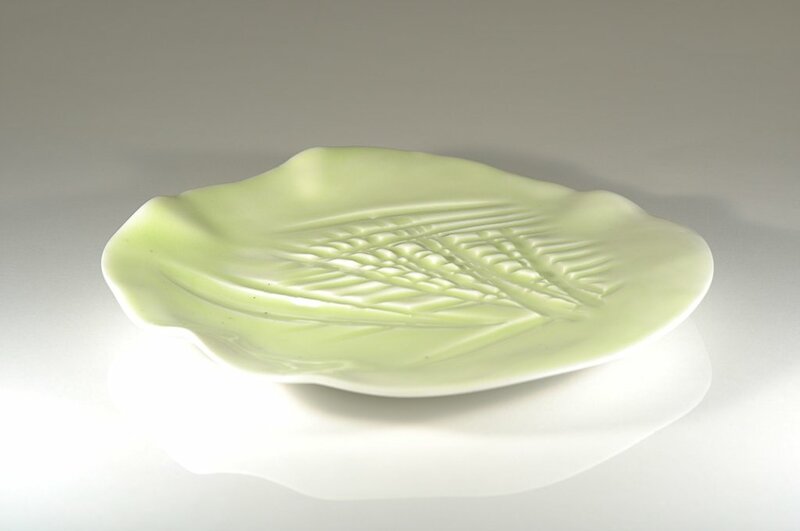 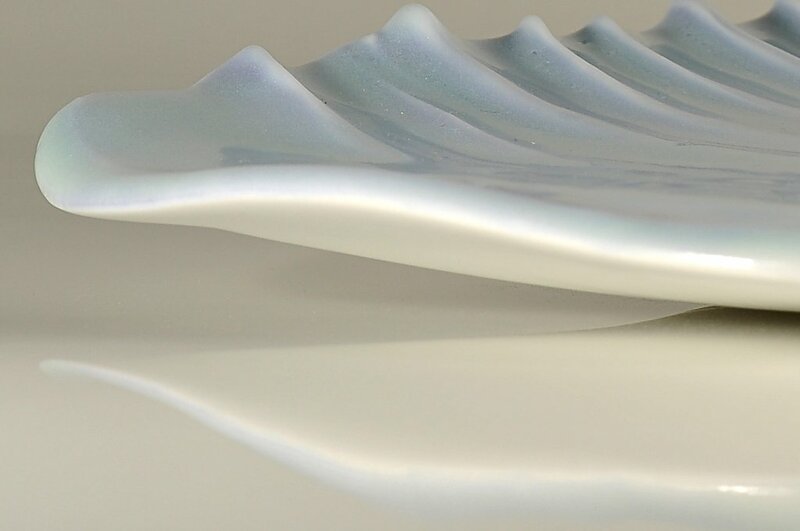 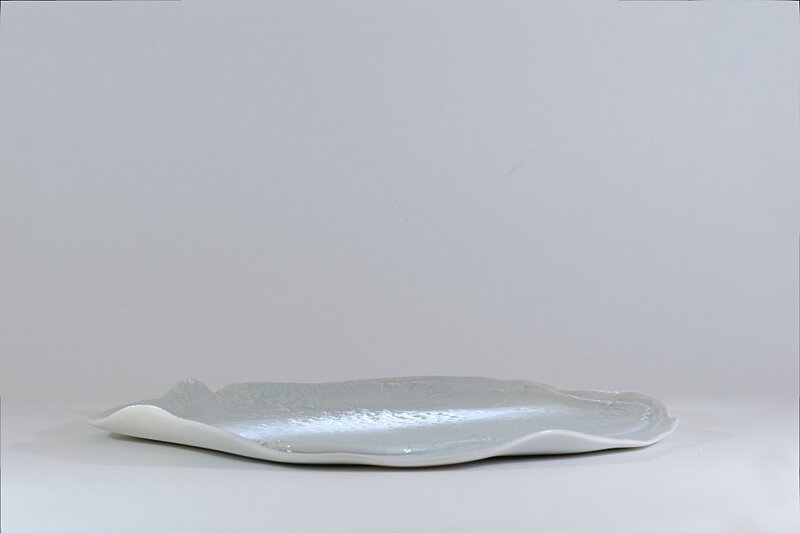 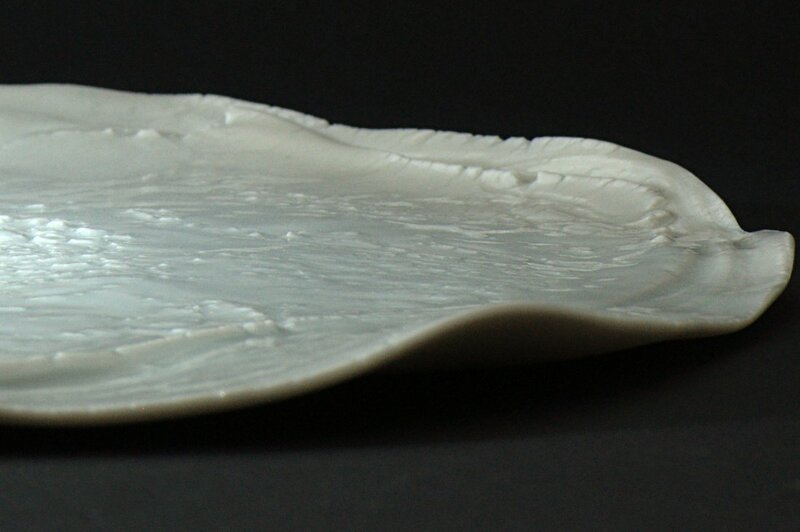 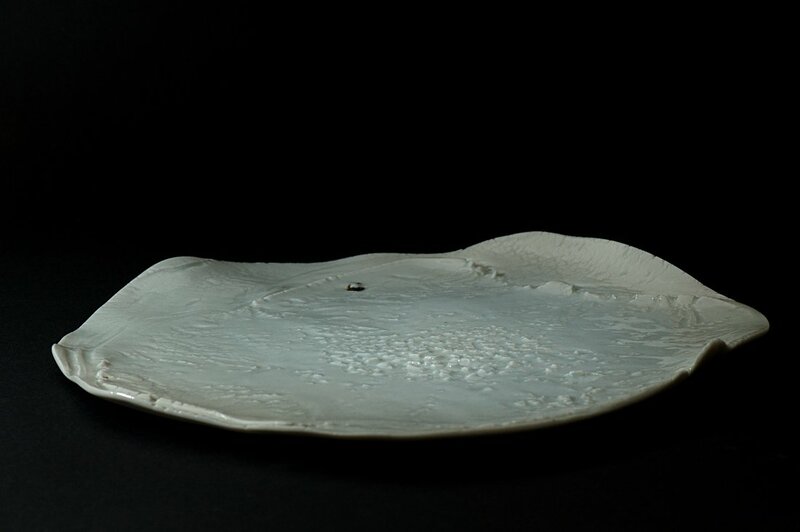 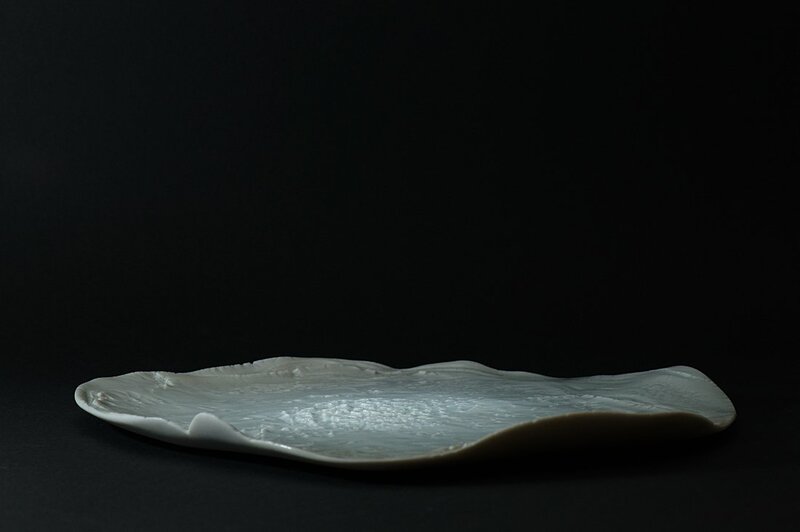 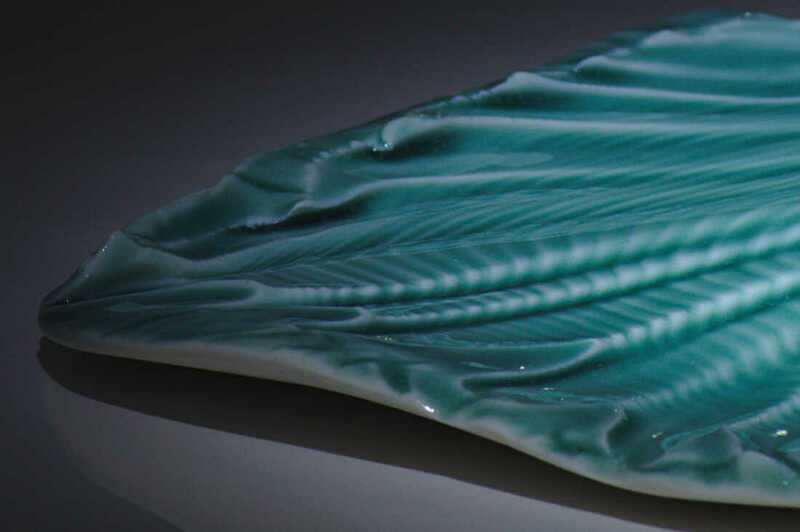 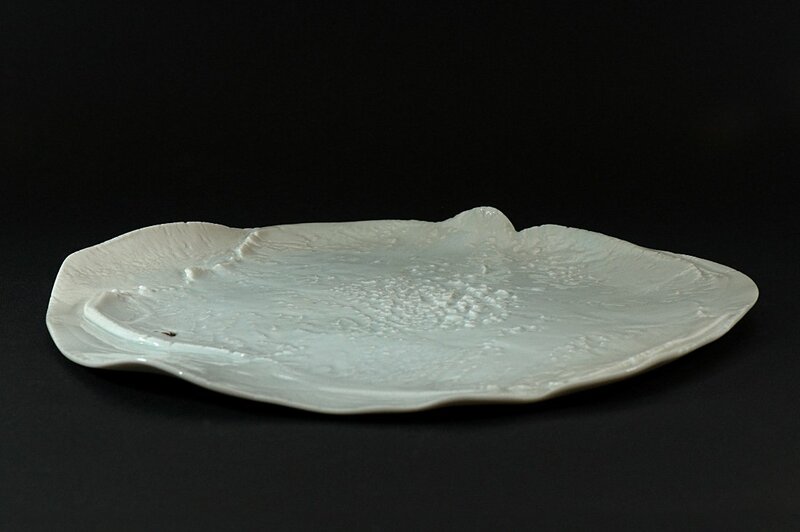 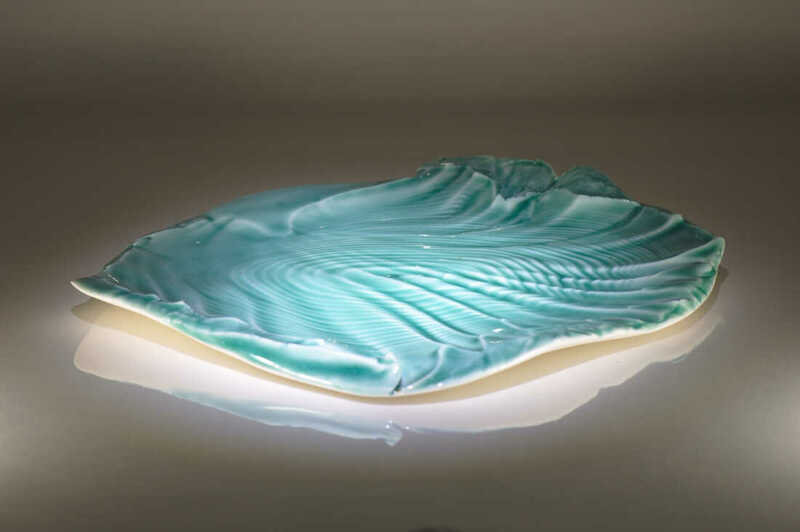 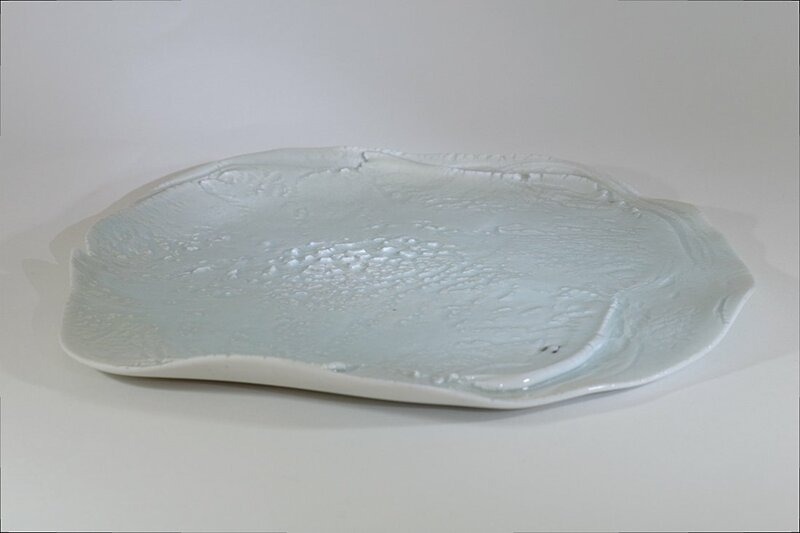 This series of individually hand crafted Southern Ice porcelain platters was begun in 2013. 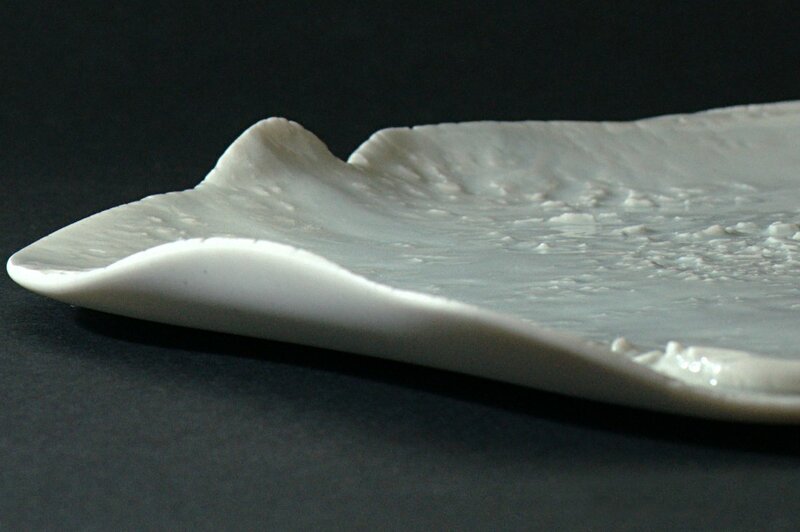 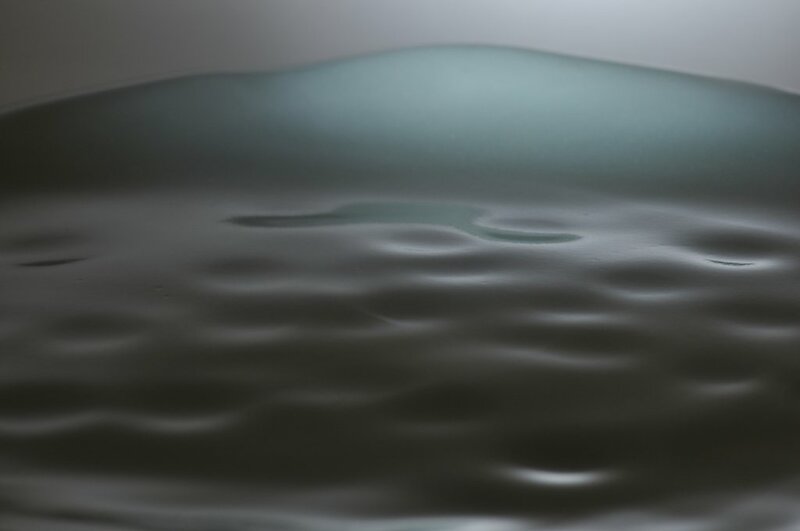 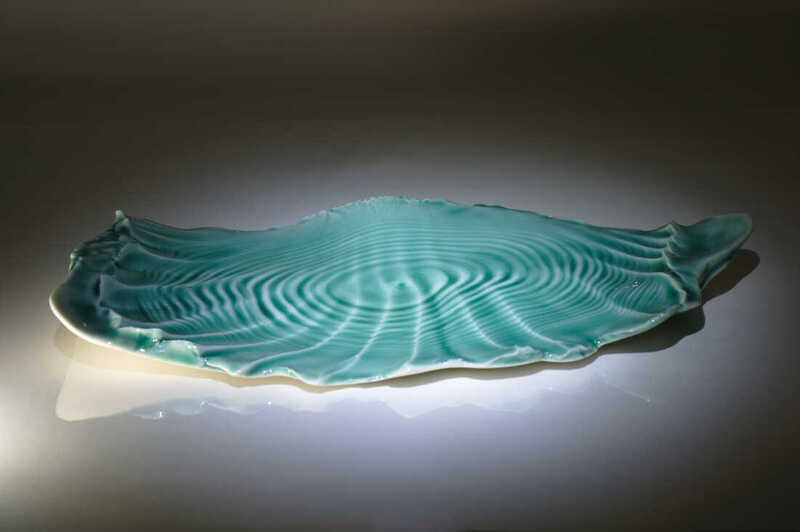 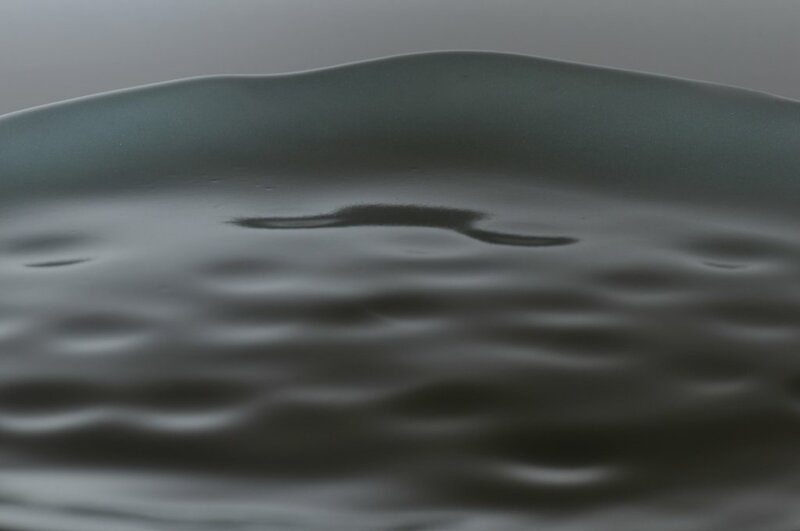 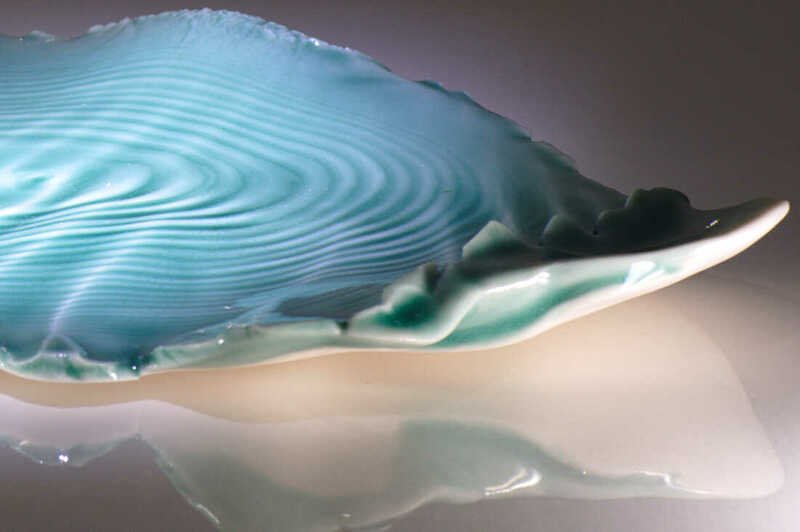 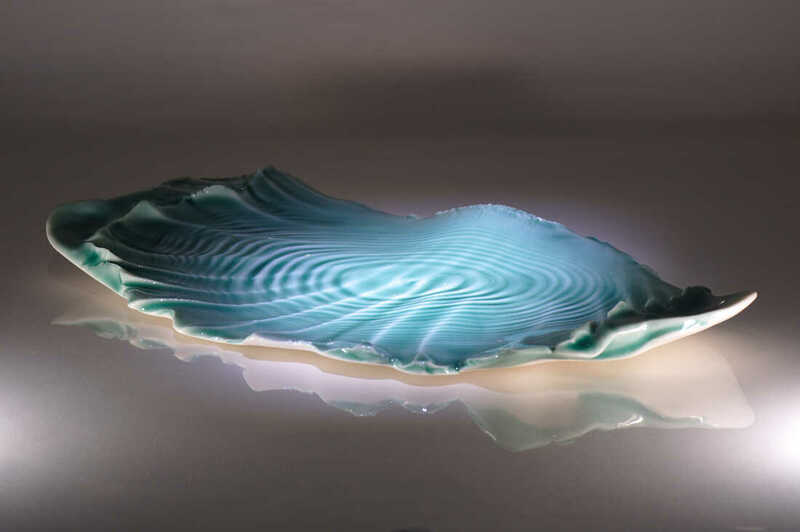 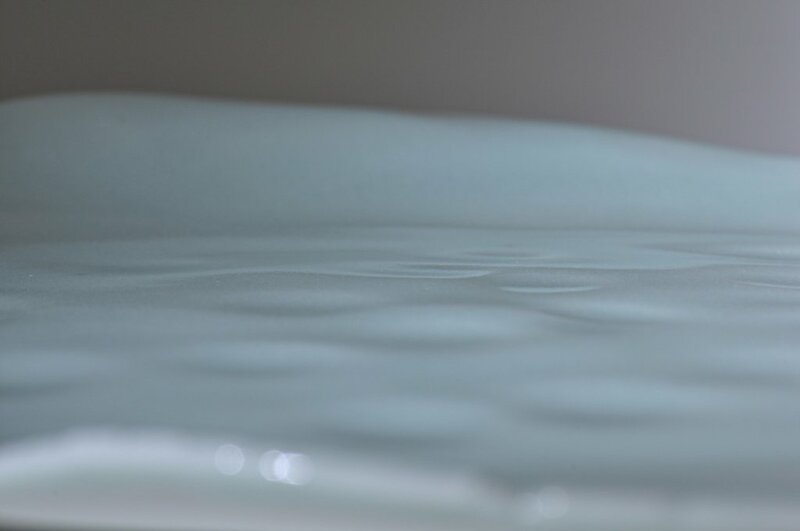 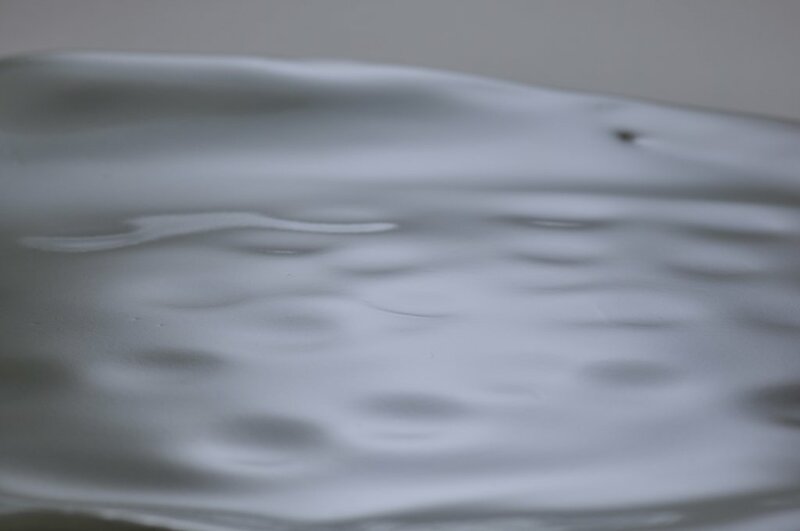 The platters Wind on Water, Rain on Water, Seismic and *Alluvium were formed by cutting, stretching and otherwise manipulating the porcelain in a plastic state in a rapid and spontaneous manner. 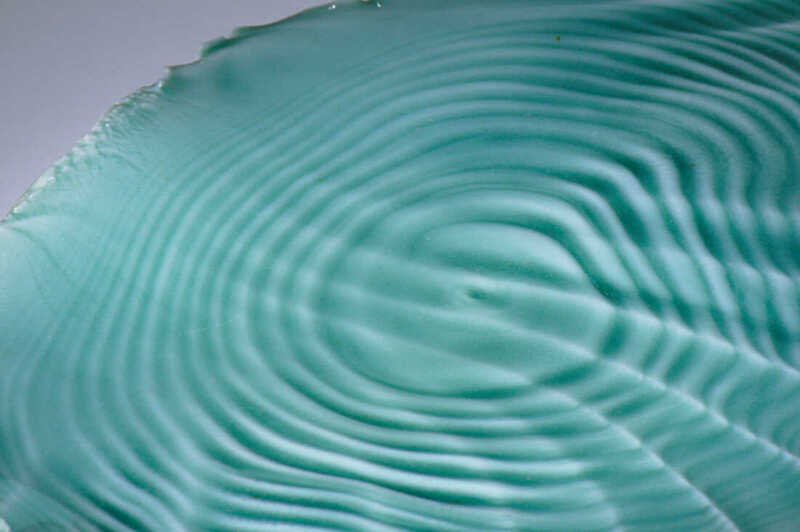 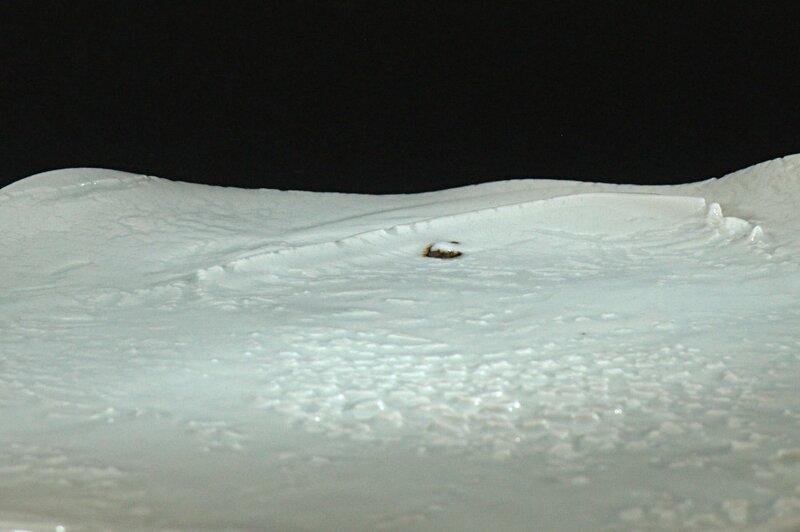 Such manipulation often produces surfaces that appear to have been formed through the impact of energy on matter in seismic and other geological processes or to have been affected by the influence of wind and water. 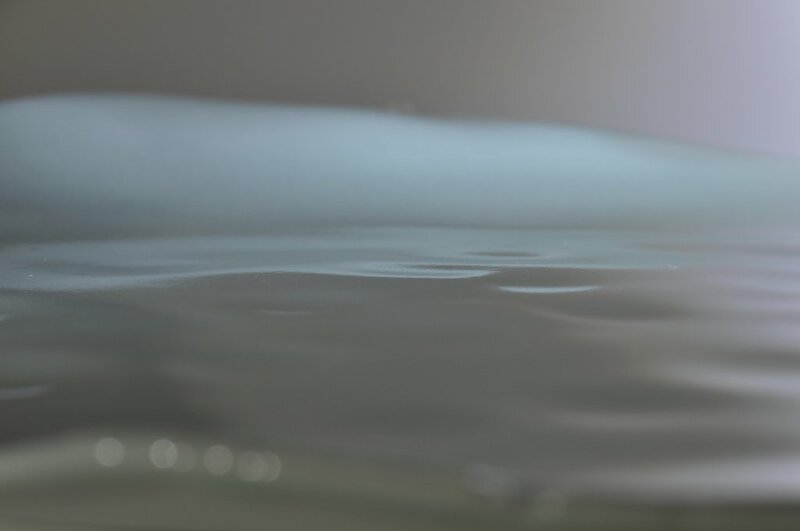 *Alluvium: a deposit of clay, silt, and sand left by flowing floodwater in a river valley or delta, typically producing fertile soil. 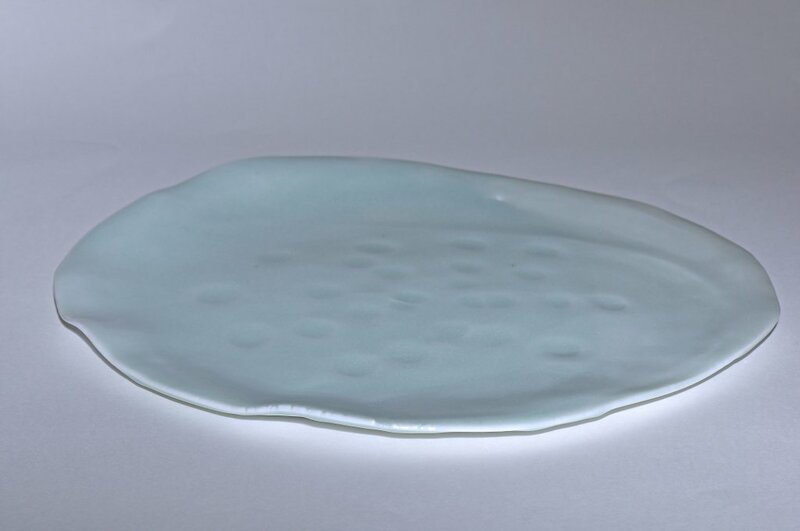 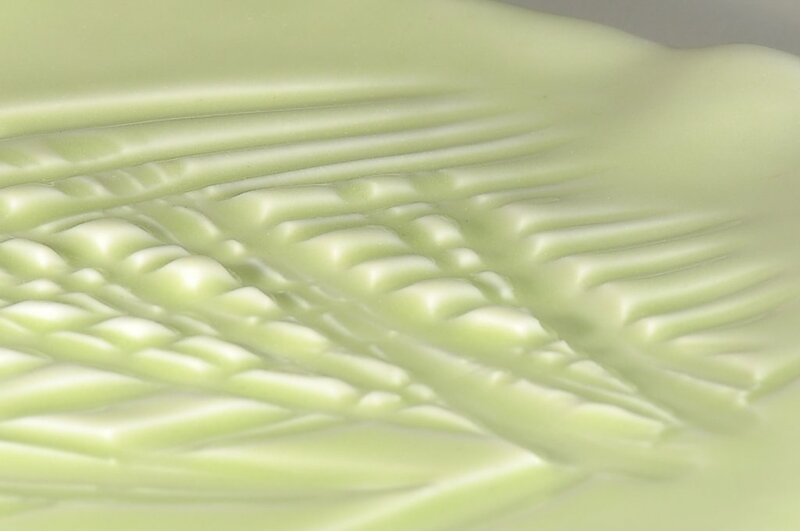 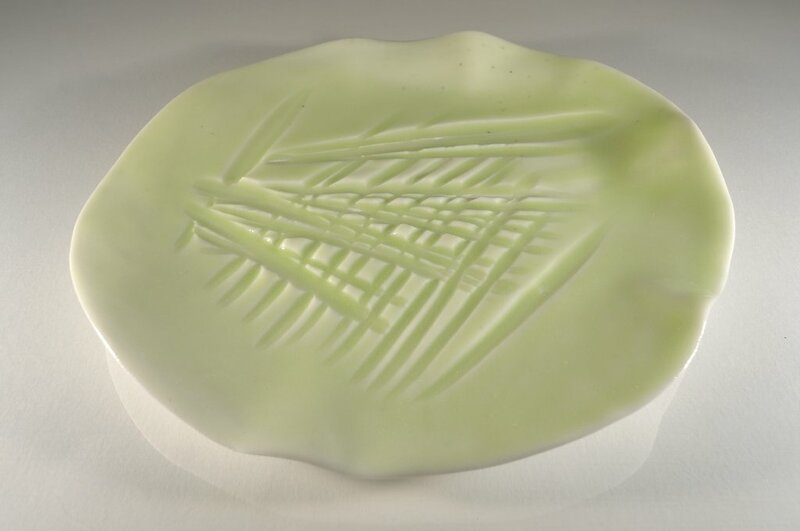 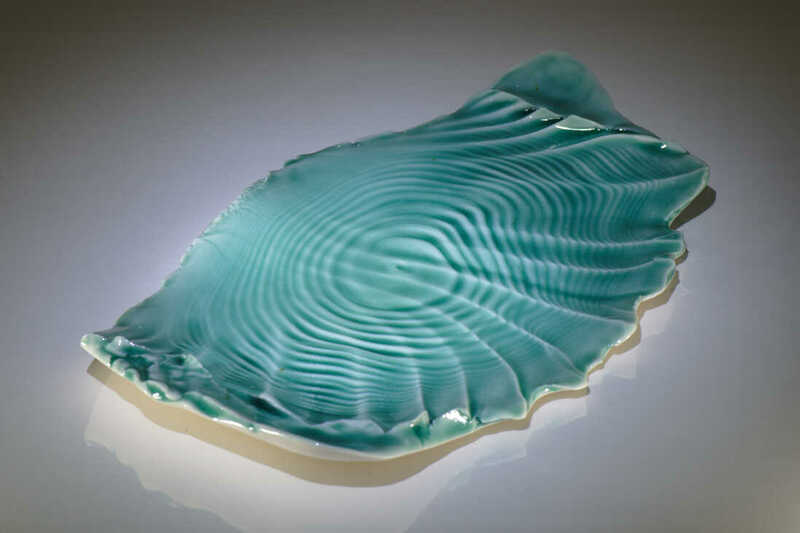 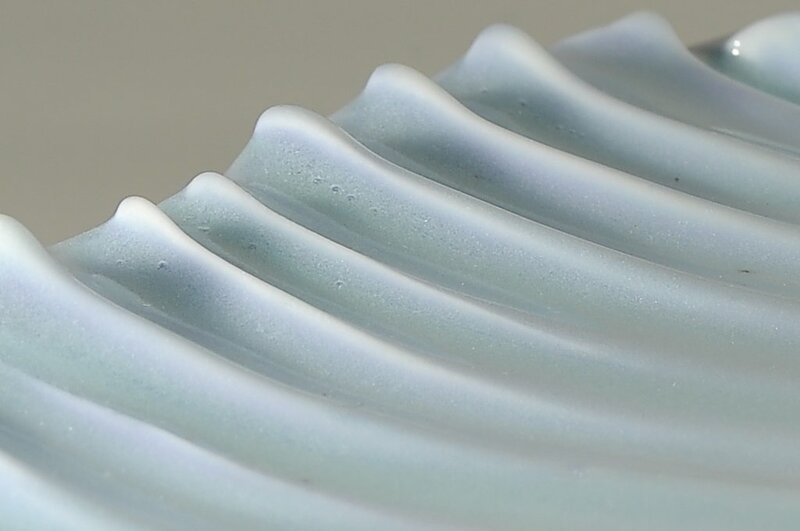 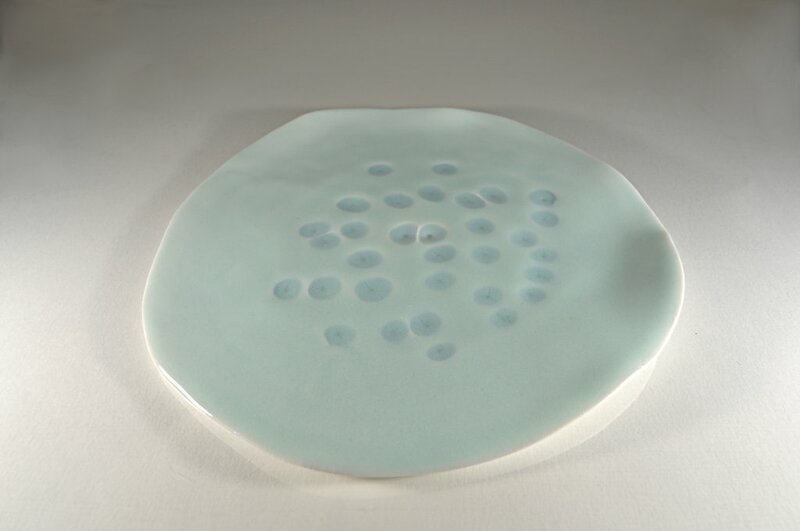 A transparent glaze highlights the surface texture of the pieces by appearing paler on raised areas and pooling into hollows and furrows to create deeper tones. 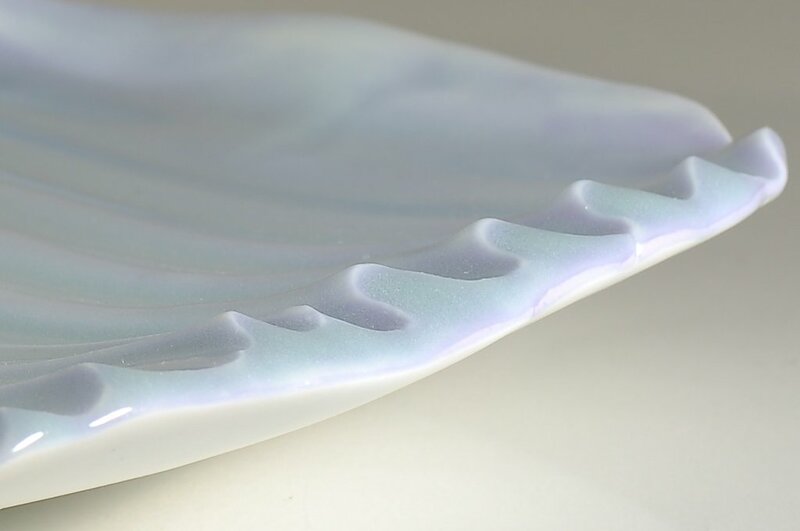 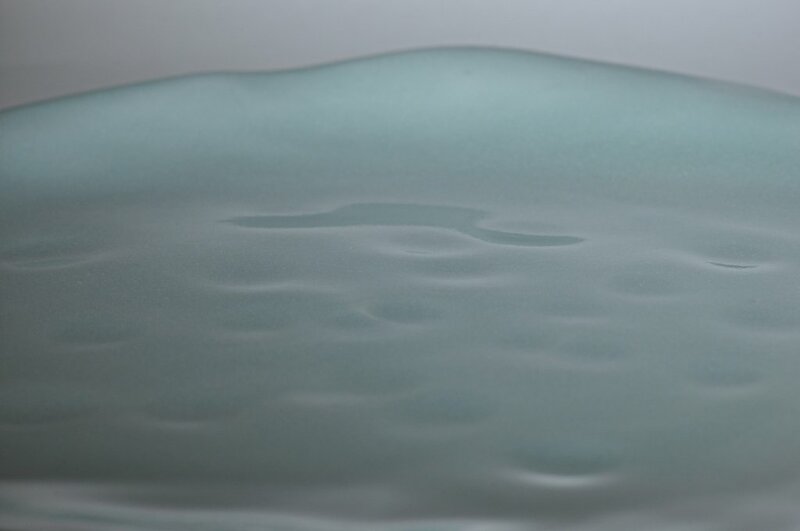 Wind on Water has also had a violet-coloured terra sigillata applied to the surface under the ice blue qingbai glaze. 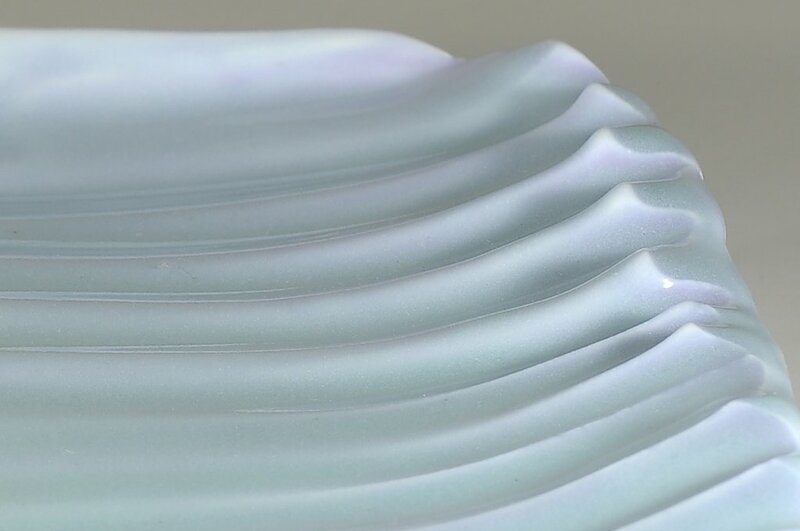 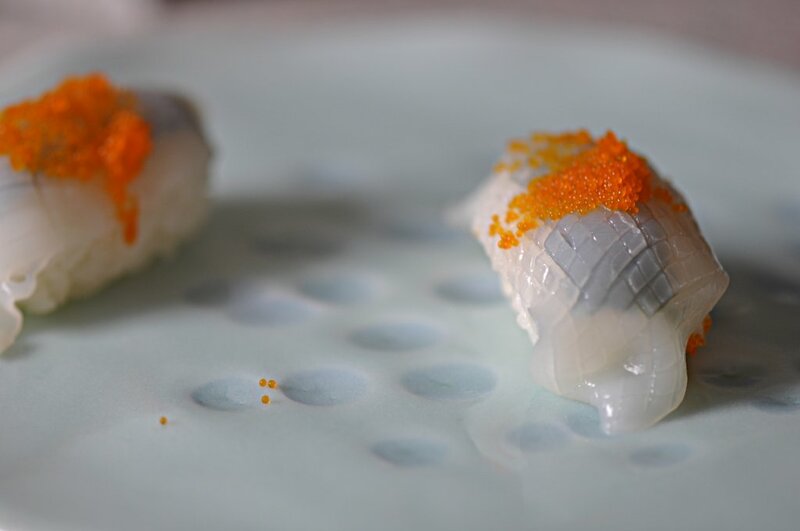 The platters are fired to 1300°C in reduction to achieve this quality of surface and blue whiteness of the porcelain body. 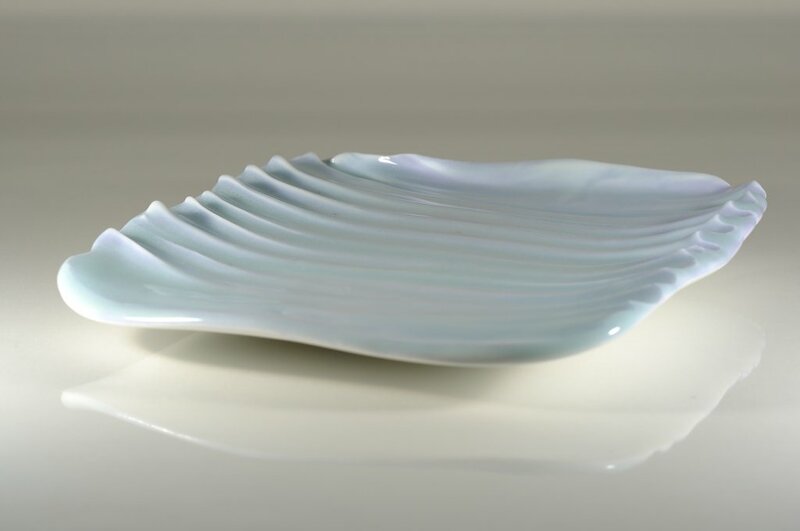 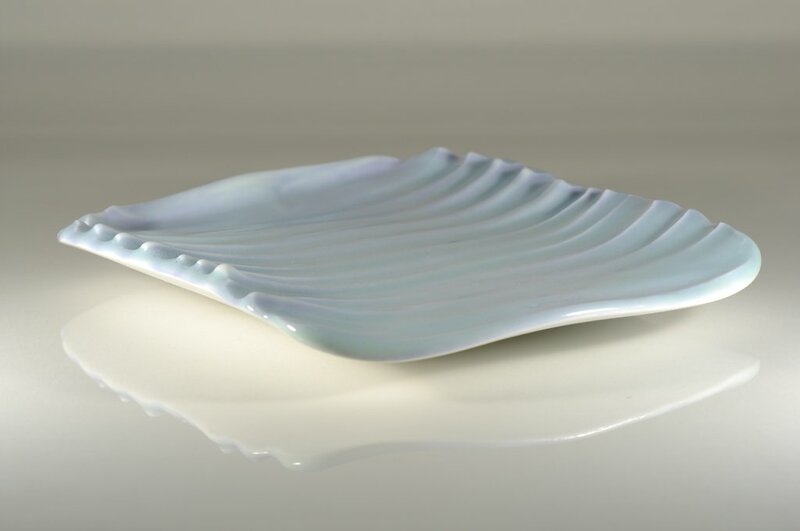 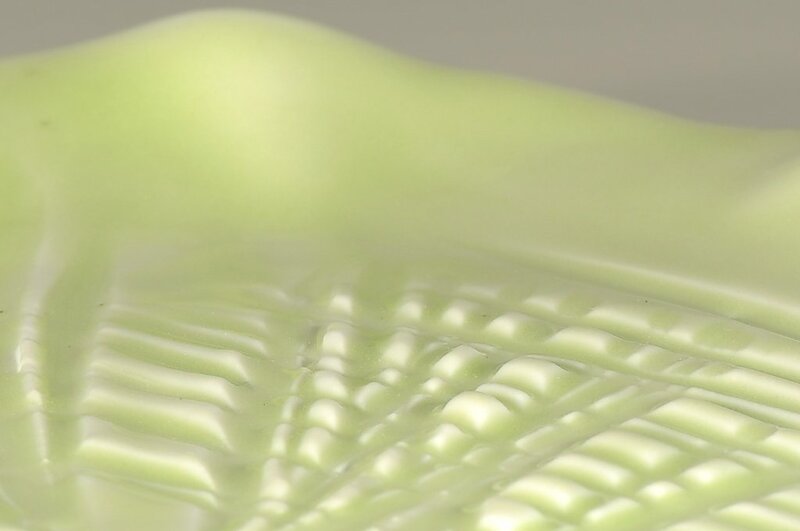 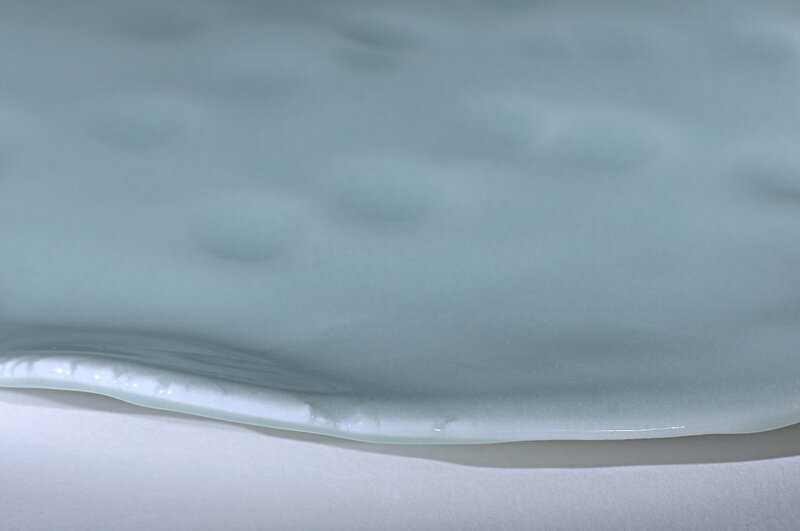 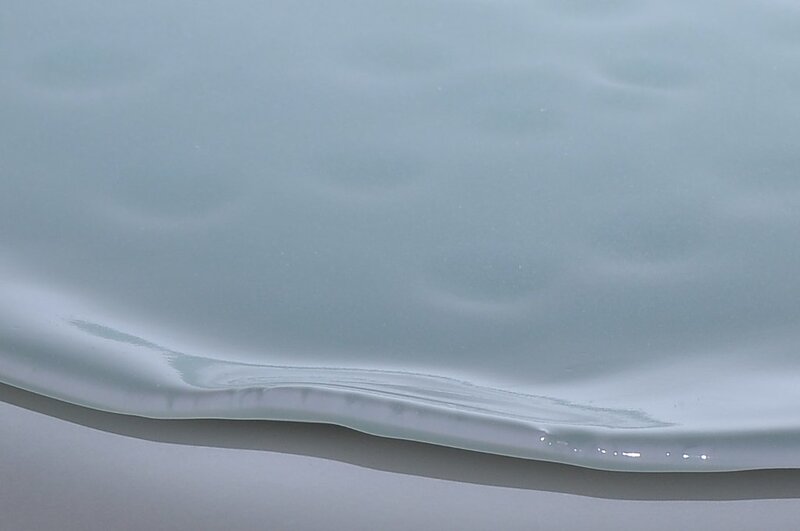 The underside is a simple curve hand polished to create a smooth tactile surface with a slight sheen.